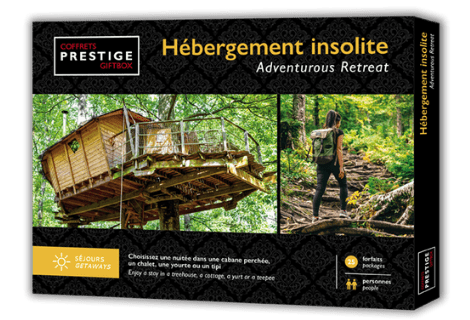 This package is available in the box Adventurous retreat. Chimo Refuges is located in St-Sauveur in the Laurentian touristique region. 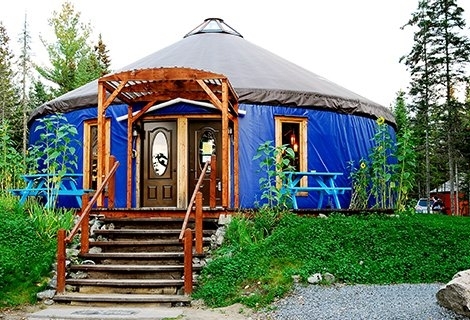 Chimo Refuges offers a new type of adventurous retreat; Glamping. 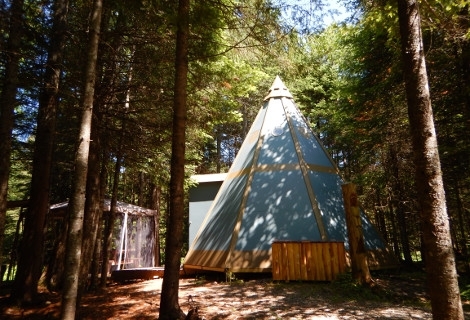 A 4 star vacation center, which became a huge hit in Europe, is now available for you to try in St-Sauveur des Monts. What is Glamping : sharing the art of living through the respect of the environment and the passion of the forest. You will enjoy the night in a treehouse under the stars and walk around in the wilderness the next day. At Chimo Refuges, come and realize your childhood dream, take a break from the modern world and share an adventure. Enjoy the activities available to you: obstacle course for kids, over 10 km of pedestrian trials and snowshoeing trails. Slides, mountain canoeing, mountain biking, badminton, volleyball, horseshoe , frisbee, board games. Come and relax in a tree.